Hello Molly is the brainchild of two dreamers who believe that every girl should have access to wardrobe essentials that are not only trendy but are also reasonably priced. 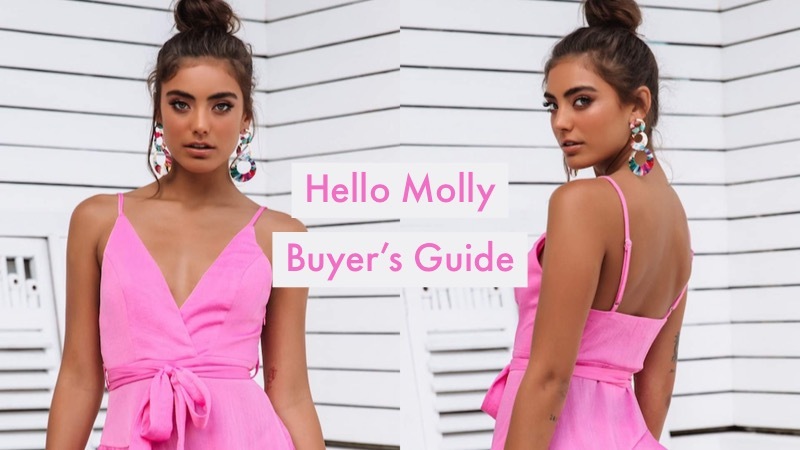 Since its inception in 2012, Hello Molly has become a formidable fashion brand and has since been a go-to destination for shoppers from all over the world- 130 countries and counting. Vowing to always offer something that will complement any girl’s identity and unique style, Hello Molly offers more than 100 new releases on a weekly basis. Today, Hello Molly is a brand that is embraced by the trend lovers, the dream-chasers, and the free spirits. With a team of passionate, creative, and fun-loving individuals based in Sydney, Australia, Hello Molly is set to conquer the fashion world in their own unique way. Does Hello Molly run small? Sizing at Hello Molly may be different than retailers you are used to. Here are the sizes available at Hello Molly. Does Hello Molly ship to the UK? Yes. Hello Molly will ship to the UK. Additional fees and charges may apply to international orders. Where does Hello Molly ship? What are the Hello Molly shipping and delivery options? Does Hello Molly have sales? When does Hello Molly restock? What forms of payment does Hello Molly accept? What is the Hello Molly return and refund policy? Hello Molly will accept returns within 30 days of delivery date. Items must be unwashed and unworn to be eligible for return. “Final Sale” items are not eligible for return. Returns will be processed in the form of store credit. Refunds are only available for faulty items. What does Hello Molly sell? What sets Hello Molly apart? Hello Molly may just be another name in the ever-growing list of online fashion boutiques. But what sets it apart is its dedication towards offering quality fashion that does not break the bank. Garments featured in the Hello Molly website are carefully created so customers know that what they are being offered with is nothing short of special. Putting a lot of emphasis on quality, every order is packed with care and love. Offering something to complement every girl’s femininity, unique identity, and style, Hello Molly aims to better serve their customers wherever they may be in the world. How can I reach Hello Molly customer service? You can reach Hello Molly customer service by phone at +61 2 9017 0300, Sunday to Thursday 2:30pm-10pm PST. You can also reach Hello Molly by email at info@hellomolly.com. Does Hello Molly have physical locations? No. Hello Molly exclusively operates online. Are you happy with the Hello Molly offers on this page?